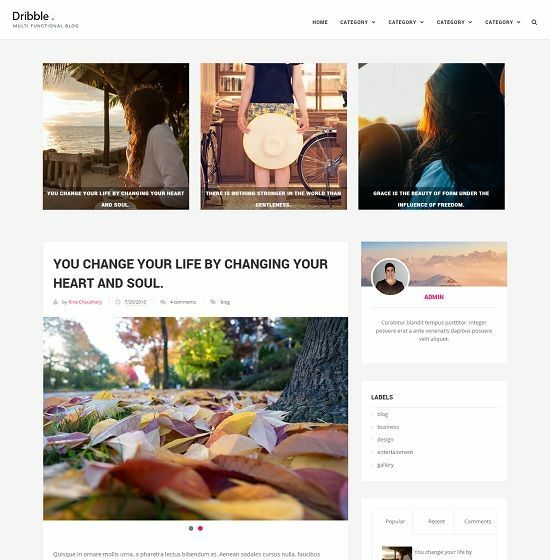 Dribble is a clean and simple free blogger template. 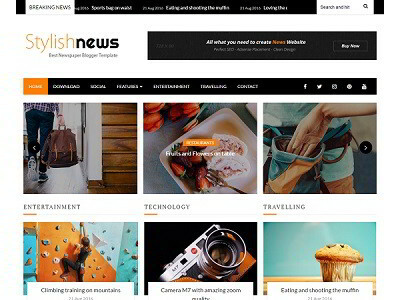 The template is fully responsive in design and adapts to any screen size without cluttering the content. 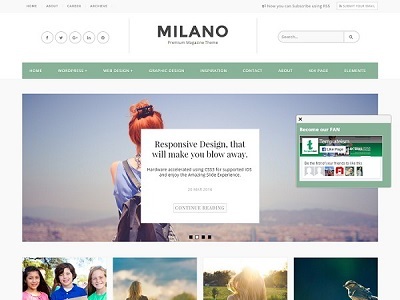 It is equipped with responsive featured content area and the slider. 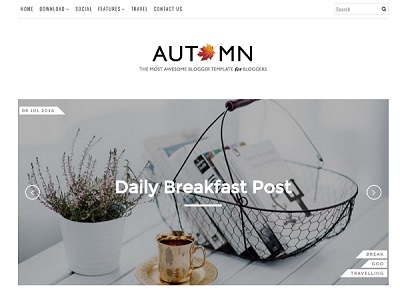 Dribble blogger template is a perfect choice for magazine, lifestyle, fashion and personal website.